Pineapple is one of the sugary fruit that is liked by majority of the people in the world. Well, I am also one of them. Pineapple is used in many recipes around the world such as desserts, cuisines, drinks and also in pizza. Pineapples have extraordinary lusciousness and an energetic tropical flavor that balances the flavor of syrupiness and tarts. Everyone has his own taste and choice. However, let me share something really interesting with you related to pineapple. Every food has something behind it, I mean a story or a reason or a memory, which is the reason of its creation. Well, when it is about grilled pineapple with cinnamon, my grandma and that day flash back in my life. It was a pleasant morning, when I and my sister decided to go at Grandma’s place. Grandma cooked a delicious food for us, as we told her that we were coming at her place. She was a great cook and always ready to try new recipes. After having lunch, she served us something really yummy. It was grilled pineapple. At first I was shocked to hear that Grilled Pineapple! How can we grill a fruit and how to grill a pineapple? I used to eat grilled fish and grilled steak but it sounds strange to grill a fruit. Initially I was feeling little odd and felt hesitated but after tasting the grilled pineapples, I just ate all of them. It was the best pineapple taste; I have ever had in my life. I asked the recipe from my grandma, and then decided to recreate it. 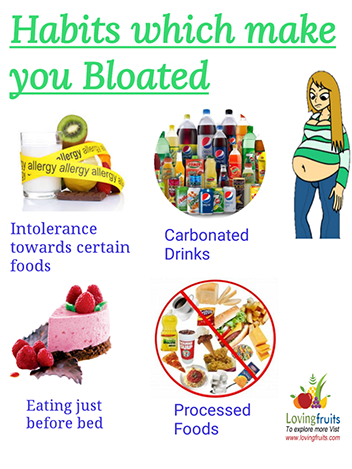 It is a super easy and beyond mouth-watering in taste. The best part of this dish is that it contains lots of nutrients. It is beneficial, as pineapple is a rich source of Vitamin C and Vitamin A. I try effortless recipes that are simple to make and take less time, but give a big blow in flavor and appearance. Take a bowl; add honey, melted butter, lemon juice, and soya sauce. Stir the mixture, till it mixes well. Now take a grill pan, add butter in it then turn on the flame so it can heat up. Now take the pineapple, Dip chunks of pineapple, one by one into the mixture and place it on grill pan. Let it cook for few seconds and then turn the pineapple carefully. Pineapple chunks will turn golden brown in color. Sprinkle cinnamon powder on pineapple and place it on serving tray. And here is the lip-smacking and mouth watering grilled pineapple ready to eat. You can grill pineapple rings in the same way. 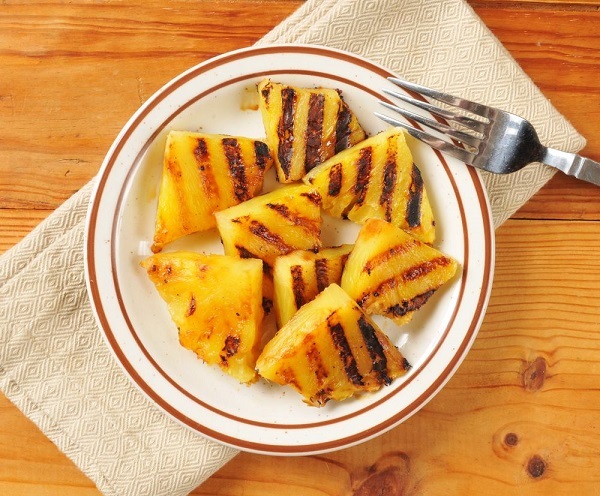 The time to grill pineapple depends on the width of chunks or rings of fruits. Make sure don’t to cut pineapple in thin layers otherwise you will not feel the juiciness in your mouth. You should give at least 3 minutes to each side of pineapple while grilling until it becomes fragrant. 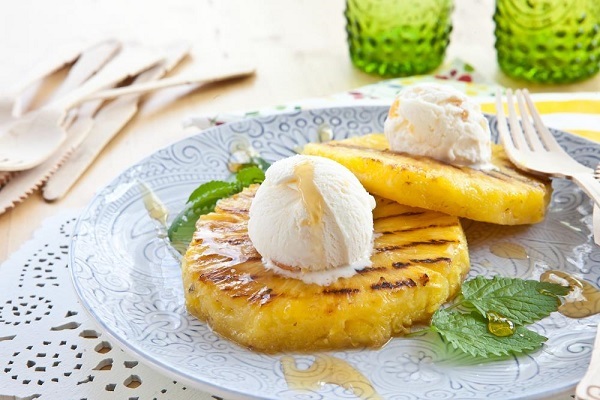 Remember that don’t overcook pineapple because the sugar in fresh pineapple caramelizes quickly so not to burn while grilling. This pineapple should be served with few hours otherwise it will lose the caramel flavor. You can use the tasty chunks in variety of ways such as with ice cream, pineapple salsa or even in burger. 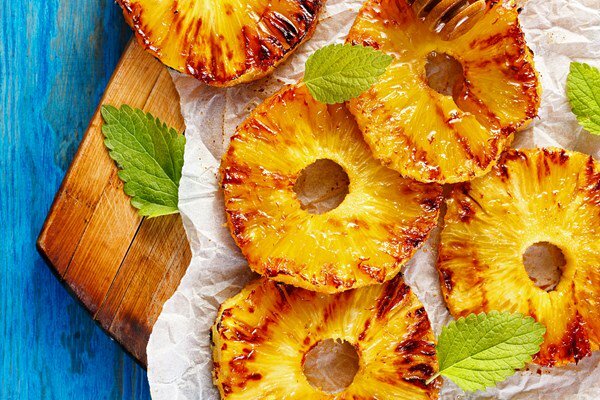 Grilled pineapple with cinnamon are good for; skin tone, aging skin, bones and protect from many bacterial infections. Pineapple as a fruit is delicious and rich in nutrients. 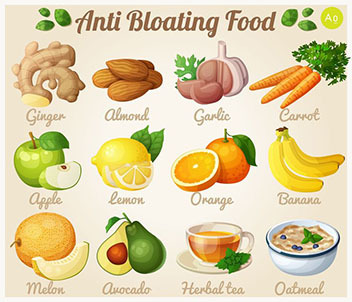 It fulfills the requirement of the nutrients in the body.